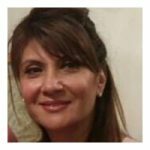 Harmeet Toor is an energetic, positive and compassionate individual. Her lived experience and struggles with mental health inform her everyday work and interactions. In seeking a way to contribute to society, she has worked her way through corporate, financial, and health service organizations and finally the not-for-profit sector. She has a unique perspective on the process of changing careers, struggling and charting a new course. While helping develop and shape the Up With Women program as Director of Operations and Programs, she continues to use her creativity, curiosity, resourcefulness, and communication skills better serve the team, partners, coaches and most importantly clients of Up With Women. Harmeet holds a Bachelor of Commerce degree from Concordia University and originally hails from Montreal, Quebec. Cheryl Keates is a Psychology graduate of New York University, a Certified Adler Trained Professional Coach and a FasterEFT Practitioner. As part of her professional training Cheryl served as an intern at The New York State Psychiatric Institute – one of the leading mental health research institutes in the world. Her research was predominately in the areas of Developmental Psychology, Epidemilology of Brain Disorders and Grief Intervention. In addition, Cheryl became a Court Appointed Special Advocate for children in Manhattan Family Court. Upon returning to Toronto, Cheryl gained further experience as a family counsellor and life coach for people suffering from addiction, codependency, poor self-esteem, divorce and eating disorders. In addition to her academic accomplishments, Cheryl is an enterprising management professional with more than 15 years of business development and senior sales experience to her credit. Her work assignments have included roles in Canada, the United States and abroad. Comfortable working at any organizational level, Cheryl spent 10 years working with C-level executives developing strong relationship building skills that have generated impressive results across a number of sectors. Cheryl excels at taking charge of both obstacles and opportunities and she possesses a talent for uncovering needs and providing solutions toward successful outcomes. Cheryl is an expert at inspiring change for emotional, physical and financial health. 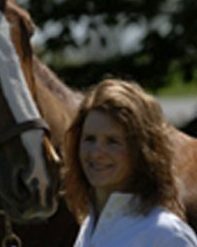 By taking a holistic approach to psychology combined and in her vocation as a Professional Certified Coach, Cheryl Keates assists her clients in discovering their strengths, overcoming obstacles and mapping out their goals in order to determine what it is they are wanting and needing and what is getting in the way of them achieving it. If you partner with Cheryl, together you will be a powerful force for achieving everything you desire in life! 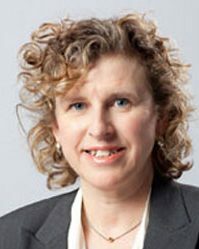 Ellen Malcomson (BA Hons), ACC Ellen Malcolmson is the Principal of Ellen Malcolmson Executive Coaching Inc. and a Senior Associate Consultant with Knightsbridge Human Capital Solutions. Ellen’s coaching practice is grounded in her extensive senior leadership experience and her passion for partnering with her clients build their confidence in their own unique strengths and capabilities. Ellen coaches from a truly unique perspective; she brings an understanding of the corporate world from her experience as a senior executive in one of Canada’s largest companies, an appreciation for the challenges of both operating and governing in the public sector from her work as both CEO and Board Chair at a large Ontario hospital, and the delicate balancing of multiple stakeholders required to be a successful CEO in the not for profit world. 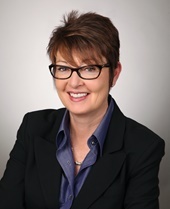 In 2010, Ellen made the transition from operational leadership to strategic consulting and executive coaching. Ellen has shared her experience in various governance roles. She is currently the Chair of the Board of Directors of St. Joseph’s Health Centre. Ellen has also served as the a board chair of Women’s Habitat of Etobicoke, and was a board member at the Ontario Hospital Association, GO Transit, McMaster University, the Shaw Festival and Junior Achievement. Ellen’s commitments to her community were recognized when she was inducted into McMaster University’s Alumni Hall of Fame in 2004. Ellen is a member of the International Coach Federation, the Institute of Corporate Directors, and the International Women’s Forum. Ellen is a Certified Executive Coach and has her ACC designation. She is also certified in the administration of the Birkman Assessment. Ellen is an alumnae of the of IWF Leadership Fellowship program. She also holds an Honours Bachelor of Arts degree in French and Political Science from McMaster University. Eman Hamzeh AlSmady has a Bachelor’s Degree of Architectural Engineering from Jordan University. She Co–own an Architectural office in Amman-Jordan. She previously worked with Business Development Corporation – BDC- on their training program for youth. The program aimed to support the youth of Jordan to confidently embark on their professional careers. Eman closely worked with the youth on this development. She completed her professional coaching training at Adler International Learning, as an (ATC) and has earned credentials as a Certified Mentor Coach and is trained in the Living Systems Approach™ to Coaching Collaborative Work Groups and Teams. She has volunteered with Future Possibilities for Kids Organization, coaching less privileged Kids for Leadership. Eman Believes coaching is a creative, strength based, transformational process, partnering with individuals to maximize their personal and professional potentials. After building a career as a strategic Human Resources Leader, Loretta White founded The Coaching Edge to focus on what she does best – helping leaders excel and organizations engage the full capacity of their employees. She has been coaching leaders over the course of her career and as a Certified Professional Coach, Loretta meets the professional standards outlined by the International Coaching Federation (ICF). She has also designed and facilitated many leadership development programs including a global program focused on Coaching Excellence for Managers in a large international organization. With progressive business experience in a variety of organizations and industries, she brings a solid background in organizational change and effectiveness. Partnering with leaders at all levels, she has proven experience driving strategic initiatives on leadership development, talent management, retention, employee engagement, high performance organizations, and work/life balance. 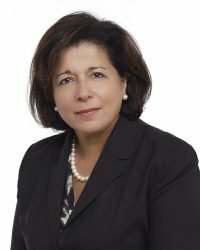 In addition to her Professional Coaching Certification with Adler International Learning, Loretta holds a Masters of Industrial Relations and Human Resources (MIRHR) Degree from the University of Toronto, and a Bachelor of Science Honours Degree in Psychology from Acadia University. She actively participates in MIRHR Mentorship Program at the University of Toronto and mentors new students as they graduate. She also regularly coaches other coaches to assist them with their personal growth. Living her own credo, she actively participates in continuous learning opportunities and has her own coach. Karen is a board director with a corporate background from the Financial Services, Tech and Oil sectors. She is a long-time community volunteer with over 15 years of NFP board experience focused on enabling women, youth and newcomers to have the opportunity to reach their potential. She currently serves on the boards of the Scarborough Health Network (3rd largest community hospital in Ontario), CPAC Foundation (Chair of Scholarship & Foundation Affairs), and Camp1. She is a past Governor of Seneca College’s board and past Chair of MicroSkills. As VP Operations for Foresters Financial and Manulife, Karen ran international operations during times of significant transition. As a Product Marketing VP and Program Management VP in the earlier days of Wireless, she led during explosive growth and launched many technology firsts. She has a ICD.D from UofT’s Rotman School of Business, an M.B.A. from York University and a System’s Design Engineering degree from University of Waterloo. 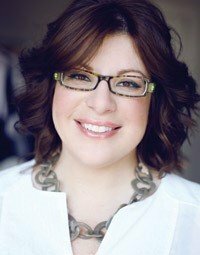 Jennifer is an ICF Certified, Royal Roads University trained Executive Coach and the President/Managing Partner at Hazell & Associates/Career Partners International. Jennifer brings over 10 years of experience coaching executives and leaders towards greater clarity and enhanced leadership, ultimately unlocking potential and building dynamic teams. She has assisted hundreds of individuals by working in partnership to effectively identify and develop leadership strengths, manage their career, and to implement and achieve career and life goals. Jennifer has partnered with leaders are all levels, across many sectors including hospitals and healthcare, banking, sales and marketing, retail, information technology, consulting, manufacturing, and the public sector. She has personally delivered leadership programs and coaching initiatives — from engagement through succession, for both private and public sector organizations. She has helping organization’s leaders achieve their goals through the strengths and engagement of their talented employees. Jennifer’s expertise lies in Executive Coaching, Leadership Development, Career Management & Development, Emotional Intelligence, Career Transition, Personal Marketing & Networking, Team Building & Development. As President & Managing Partner of Hazell & Associates/Career Partners International, Jennifer provides unwavering leadership through strategy development, effective management of resources, and team development. In 2011, Jennifer was elected subject matter expert for the international “Creating a Coaching Culture” leadership session, delivered to over 2000 international leaders. In 2009, she was appointed to lead CPI Canada’s strategic direction in marketing, sales, and delivery of executive coaching, leadership development, and career transition services. Prior to her success as a business leader and executive coach, Jennifer was a corporate trainer, delivering writing and presentation skills training to managers and executives. 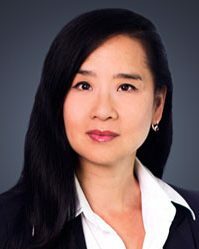 Shieh-Chi Chen (pronounced Shee-Tzu) is the President and Owner of 2Sisters Consulting Inc. is a skilled executive coach, facilitator and organizational development consultant and has worked in Canada and internationally for Fortune 500 Companies. Shieh-Chi combines her world view with a passion for valuing differences, by delivering thought provoking and results-oriented programs. She works with women, minority leaders, business owners and change agents who want to make a leadership contribution to their organizations and the world around them. She has worked with for-profit and non-profit organizations as well as three levels of government, from small and mid-sized companies to multi-nationals. Kimberly Niles, Project Manager, migrated from the Caribbean in 2011. Prior to migrating Niles has several years of experience as a Customs Office with the Customs & Excise Department. She holds a BBA In Information Technology, Associate Degree in Business Administration and Diploma in Network Administration. Hopes to commence her Masters Degree in ‘New Media Studies’ in the near future. Niles enjoys the Arts and Culture, Niles danced with the Les Enfants Dance Troupe. She also won a regional Art competition in 1998 from UNIFEM “A life free of violence: it’s our Right”, designed two Carnival Queen Contestants Evening Wear, chaperoned the winning contestant of Miss SJC Princess 2010. Her company, Kym Nylz, was launched while she was a client with Up With Women. Niles realized the need to bring her Caribbean customs and remedies to Canada and the World at large. Also, in her free time, Niles loves spending time with her adorable daughter. Niles brings to Up With Women her experience from both the public and private sector, entrepreneurship and her love for the Arts and Culture and motherhood. Lia Grimanis comes from 10 years of professional non-profit leadership, following 18 years of managing complex projects in the technology sector. Grimanis’ work in the homelessness sector is informed by lived experience, as an abuse survivor and formerly homeless teen. A high school dropout, she climbed the corporate ladder to her most recent corporate position as Regional Head of Financial Services, Americas for a division of the global technology firm TIBCO. She now manages Up With Women’s women’s career program full-time. Prior to creating and building Up With Women, Grimanis founded the non-profit, the Mighty Lola Ballsy Girls Arts Fund, which provided grants to female artists doing cutting-edge work. She also is a Co-Founder of Social Venture Partners Toronto, an organization that blends the power of business with the passion of philanthropy to assist grass roots organizations that are focused on poverty reduction. On a civic level, she has served on the Toronto Mayor’s Communications Advisory team as a PR strategist and speech writer with a special focus on the Mayor’s “Opportunity for All” platform. In 2011, Financial Post Magazine listed her as one of Canada’s 100 Most Powerful Women. She was also named Chatelaine Woman of the Year. A gym class flunkie, Grimanis now holds two Guinness World Records: “Heaviest Vehicle Pulled 100 ft by a Woman” (18,000 lbs) and “Heaviest Vehicle Pulled in High Heels” (15,000 lbs). She is now preparing to pull a jet to raise awareness about family homelessness in the fall of this year. Grimanis uses these world record attempts to attract much needed media attention to the issues of poverty, homelessness and violence against women. Up With Women has been covered globally including The TODAY Show, the New York Times, CTV News, CBC, Global TV, CNN Money, Inc, Chatelaine, More Magazine, Flare, UK’s Daily Mail, CBC Radio, Toronto Star, Calgary Herald, The Calgary and Toronto Sun newspapers and more. Over the past 25 years in agency life, I have had the fortune of learning from some of the best people in our industry, and mentoring future communication specialists. My priority is to surround myself with the most talented and passionate people, where professional and personal growth is an essential part of the team dynamic. This is where my own formula for success comes in, and I would be delighted to explain my 70|20|10 philosophy in person. I have built departments to grow revenue, led new business development, collaborated to launch a new agency brand, and I have led through a change management program to ensure the future success of the agency. Highly motivated to succeed, I draw from my strengths and more importantly, from my team’s strengths, to achieve desired and designated goals. My goal is to be part of a team with shared enthusiasm and values to create a culture of creativity and collaboration. My inspiration is to continue to give back by supporting women initiativesthat empower and improve their wellness and their lives. From volunteering in shelters and providing council to underprivileged young women, to coaching our future industry leaders, I strongly believe in the movement to bring a positive change where women are seen as empowered leaders. During my career, I have gained a wide breadth of experience and expertise in marketing, media and communications. Starting in broadcast buying, I pursued moving into Direct/ Digital and CRM to find more meaning and measurement in communications. I eventually moved to strategic planning and account management where I created trusted and bonded relationships with clients. My creative solutions, combined with the analytical facts positioned me as an ideal leader of help clients prosper through smart investment in media across all platforms. Some highlights include developing a multi-platform software in 2001 to manage media and client data. This custom software was designed to effectively report on business impact of media activity, years before the advent of ‘big data’. I have built departments from the ground up in my past 2 agencies, and was instrumental in the re-structuring of an agency in order to meet demands of clients. Given the pace of change and the challenges media agencies face, there was a need to re-define the future of agency and client working partnerships. unconventional thinker focused on solving the challenges that confront me, and look forward to influencing the ever evolving business of Media. Sydney Blum is an expert in non profit strategy, scaling, evidence-based program design and fund development. Sydney currently holds the position of Director of Community Impact & Strategic Relations at WoodGreen Community Services, one of Toronto’s largest non-profit social services agencies and affordable housing providers. In her role, Sydney develops innovative service models and collaborative community partnerships to help under-served populations stabilize, thrive and gain lasting self-sufficiency. Sydney is also knowledgeable about program evaluation and impact measurement. Sydney is responsible for the successful scaling of WoodGreen’s award-winning Homeward Bound program. Sydney also helped establish the Urban Indigenous Homeward Bound, a TRC-informed collaboration led by the Ontario Federation of Indigenous Friendship Centres and 6 Friendship Centre communities. Most recently, Sydney has led the incubation and creation of a new holistic housing program, Free 2 Be (Housing First for Youth Leaving Care) which launched August, 2018 in partnership with the Making the Shift Youth Homelessness Social Innovation Lab and the Canadian Observatory on Homelessness at York University. Sydney has an MSc in Ecological Economics from University of Edinburgh and a B.A. in Sociology from University of Chicago. She is very pleased to serve as a board member with Up With Women and the StopGap Foundation. In her free time Sydney enjoys hiking in the Bluffs, practicing meditation and experimenting with new plant-based recipes. An experienced C.E.O and Director with a proven track record of creating profit and shareholder value by maximizing resources, strong P&L management, streamlining processes and budgets while building organizational capacity. With over 20 years in financial services Rubina has managed multi-billion dollar portfolios, repositioned businesses onto sustainable growth trajectories and guided complex regulatory relationships at premier global financial institutions. Acknowledged for developing and championing market-focused business transformation strategies based on in-depth customer and financial analysis. Fluent in English & French. Significant experience in managing credit risk, systemic risk, underwriting and lending. Deep technical expertise in Dodd Frank, FACTA, Basel 111, ICAAP, AML and CDIC. Transformed strategy, product suite and talent resulting in a tripling of their profits of the multi-billion dollar portfolio. Led M&A activity across financial institutions, Fin Tech, Oil & Gas and retail industries. Recognized for doubling asset base, increasing net income by 30%, divesture of large lending assets and expanding market share. Spearheaded risk-based technology large-scale initiatives resulting in operational efficiency and strengthened profitability. Led retail banking products, lending, white label banking platform, data analytics, sales, product and marketing business lines for global financial institutions. Acknowledged expert in transaction-based businesses across banking, processors and technology solution environments. After many years at “big law” in Montreal and Toronto, in 2014, Lai founded a boutique law firm focusing on employment/workplace law, human rights and litigation. 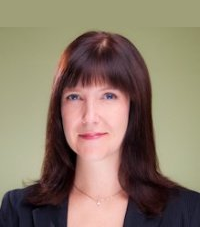 Licensed as a lawyer in both Ontario and Quebec, she assists businesses, entrepreneurs and individuals across Canada, as well as U.S. and China, with their legal issues. In January 2017, she was also appointed Deputy Judge, working part-time in Superior Court of Justice, Small Claims, sitting in Toronto. She loves her work! Having an affinity with vulnerable youth, from November 2006 to August 2011, Lai was a board member and served on various committees, of Serve! Canada, an organization that provided disadvantaged youth in the GTA with the opportunity to participate in a long-term educational program, developing team-cooperation and leadership skills, while earning a stipend. The organization wound down in 2013, with its goals and purpose continued in “Eva’s Initiatives”. Lai is also active in the Chinese community in the GTA, and more locally in her CityPlace community. 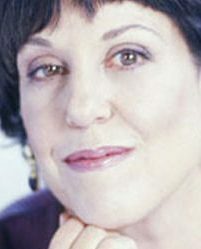 Fast Company magazine called her a “career guru.” Dr. Barbara Moses, president of BBM Human Resource Consultants, is the international best-selling author of Dish: Midlife Women Tell the Truth about Work, Relationships, and the Rest of Life, (in the USA, Women Confidential) What Next? Find the Work that’s Right for You and Career Intelligence, sought-after speaker, and a popular former Globe and mail columnist. Barbara’s innovative approach to managing work and life has been reported on extensively across North America. She was featured in the recent book The Art and Practice of Leadership Coaching as a “thought leader in life coaching” and has been quoted and profiled in major North American publications including Fast Company magazine, the New York Times, Wall Street Journal, Fortune and Elle. She has appeared frequently on network and local TV and radio, including the Today Show, the CBS Early Show, NPR. MSNBC and Canada AM. Barbara is the designer of Career Advisor, the powerful on-line career management tool that has been hailed as “the ultimate career resource” and as “like having a personal coach on your computer.” This, along with her earlier career planning tools, have been used by over a million world wide. Through her career management tools, workshops, and speeches Barbara has counseled people in over 2000 organizations from all walks of life and of all ages throughout her career. She knows what they need to feel happy and engaged, and the challenges they sometimes struggle with. A frequent presenter and keynote speaker for senior business and professional audiences, Barbara is consistently praised for her practical insights into new work and personal realities, her stimulating and compelling delivery, and her tell-it-like-it-is style. Barbara holds degrees in psychology from McGill University, The London School of Economics and the University of Toronto. Heather-Anne is an Adjunct Professor of Finance at the Rotman School of Management, at the University of Toronto. Since 2003 she has been teaching in the MBA, Executive MBA and Master of Finance programs and has had the honour of twice being named MBA Professor of the Year, as well as MFin Professor of the year. She is also the Executive Director of the Canadian Securities Institute Research Foundation. Prior to her position at U of T she spent 17 years on Bay Street. 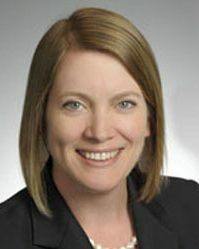 She was last at TD Securities Inc. a Director and VP in the Equity Capital Markets area, Before TDSI, Heather-Anne spent 7 years at Nesbitt Burns (Burns Fry) in investment banking, M&A and debt capital markets. She started her finance career at Citicorp in New York City and later in Toronto in the fixed income area and then in private placements. Heather-Anne currently sets on the board of the public company InnVest REIT, where she chairs the Corporate Governance and Compensation Committee. She is also the Founding President of Women in Capital Markets and continues on its Advisory Counsel, HLM Scholarship Management Board and Mentorship Program. She was also a board member of the Centre for Addiction and Mental Health (CAMH) Foundation. Heather-Anne has been awarded the YWCA Women of Distinction award in 1999 as well as the 2010 World of Difference 100 Award by the International Alliance for Women and the 2010 WCM Visionary award. Heather-Anne has an MBA from Schulich at York University and Hons B.Sc. Eng from Queen’s University in Engineering Chemistry. Sandy Dawson serves as Up With Women’s Treasurer. 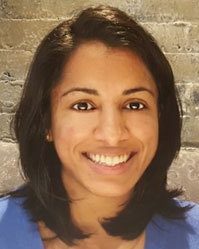 She is certified as a Chartered Management Accountant, and she is an Associate Director of Corporate Finance at Bell Canada. Mide uses the breadth of his international perspective, academic credentials, fundraising expertise and experience in social change to help nonprofits develop formulas for revenue growth. Mide was raised in London, England and has lived and worked in Canada since 2008. He is an inspired and energetic fundraising specialist with a uniquely diverse perspective. He has successfully led fundraising teams in a variety of the UK’s most successful and best known social impact charities, including the British Red Cross, The Children’s Society, and Scope. His Canadian journey began in 2008 when the YMCA of Greater Toronto sought him to be their Chief Development Officer. 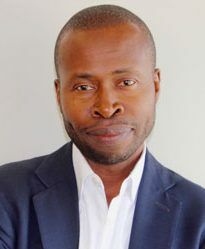 Mide’s inspiration to establish AGENTSC, a fundraising company specializing in nonprofit sustainability and systems for increasing major gift funding, came after he served nearly five years as Director of Leadership Philanthropy at Canada’s pioneering and award winning social innovation – Pathways to Education. At Pathways, Mide led the leadership philanthropy strategy for the charity’s successful $180 million Graduation Nation campaign, which saw the rapid expansion of the program across Canada. Mide was personally responsible for raising more than $20 million from high-net-worth individuals and corporations, and was a member of the leadership team that brought in an additional $60 million towards the charity’s campaign. Mide graduated with a B.SC. (Hons) in Business Studies and Sociology from the University of Surrey. He also possesses an M.Sc. (Econ) in The Politics of Asia and Africa from the School of Oriental and African Studies (SOAS), University of London – UK. Anekie Nembhardis an upcoming innovative and passionate Human Resource Professional specializing in the area of Learning and Development. Anekie is a graduate of the Human Resource Management Advanced Diploma program at George Brown college and a winner of the of the Human Resource Research Institute Human Resource Professional of Tomorrow award in 2015. She also has been over 2 years of experience working in various areas of the Human Resource Field in areas such as Recruitment, Benefits, and Training and Development. Anekie plays an active role in her community and stay involved by volunteering her time with various organizations that represent and support Women, At Risk Youth and the LGTBQ Community. She hopes to combine both her passion for Learning & Development and the volunteer work to give back to the community. Jacqui Allard is Senior Vice President of Strategy, Marketing, Performance and Enablement with RBC Personal & Commercial Banking (P&CB). She leads teams responsible for developing strategies that support and integrate lines of business while ensuring the alignment of the P&CB project portfolio across the enterprise. Jacqui was previously SVP, Wealth Management Solutions & Client Experience where she led a program of initiatives while providing functional leadership of product management, digital, analytics, and regulatory management in support of delivering a superior client experience to RBC’s affluent and high net worth Wealth Management clients globally. Prior to joining RBC in 2014, Jacqui was Head of Operations and Chief Information Officer of the Investment Division of Manulife Financial, responsible for investment operations and information technology functions globally. She was previously President of Manulife Asset Management Canada & Global Chief Operating Officer for Manulife Asset Management. Her prior experience, with State Street and Bank of Ireland, included progressively senior leadership positions in the United States, Canada, Australia, Ireland and the United Kingdom. 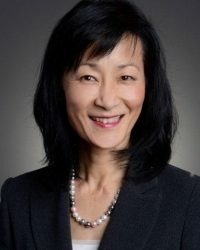 Jacqui is Vice Chair of the Board of Directors of the Portfolio Management Association of Canada (PMAC) and serves as a Pension Board Director for a large multi-employer pension plan. She also serves on the Board of Directors of Up With Women, a not-for-profit providing career coaching and support for formerly homeless women. Jacqui was recognized in December 2013 by the Women’s Executive Network as one of “Canada’s Top 100 Most Powerful Women” for her achievements in management, community service, vision and leadership. She has previously served on the Advisory Committee of Women in Capital Markets and on numerous not-for-profit boards. Jacqui holds a Master of Business Administration (MBA) in Management from Bentley Graduate School of Business in Massachusetts and an Honours Bachelor of Arts (BA) in Economics and History from Queen’s University in Ontario. Lauren Moses Brettler has extensive experience working in not-for-profits and the social services. 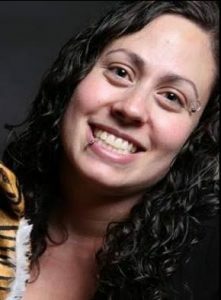 She has worked with homeless, formerly homeless, and at risk women and youth in various settings, including in residential settings at both Horizons for Youth Shelter as well as at the YWCA Toronto 1st Stop Woodlawn Shelter, as well as street outreach, drop-in and community outreach settings, at LOFT – Street Outreach Services and Transitional Aged Youth Programming. Lauren also has a great deal of experience in workshop facilitation and volunteer management, gained at Planned Parenthood Toronto with the TEACH Program and Teen Programming. Lauren has an Hon.B.A. in Women and Gender Studies and Sociology from the University of Toronto as well as a certificate in Dual Diagnosis from George Brown / Griffin Centre. In her free time, Lauren spends her time wrangling her 3 kids and 2 pets. After participating in Katimavik and getting a taste of non-profit agencies at the young age of 17, Nikita Miller unlocked a passion for personal development, building teams, and making change in her communities. After completing high school, Nikita participated in Canada World Youth where she experienced being immersed in new communities with other youth from across Canada, Sri Lanka, and Mali, Africa. Since graduating university, Nikita’s career has taken off. She got her start at Brescia University College and is well known for her commitment to empowering young women and girls. Nikita is currently the Youth Mentorship Program Coordinator at London’s Cross Cultural Learner Centre and a Community Consultant that has collaborated on a number of innovative initiatives. Nikita brings with her many unique experiences, a knack for building meaningful relationships, an inherent desire for collaboration, and a “we’ve got this” attitude. She is working towards a Master of Adult Education at St. Francis Xavier University, on the Board of the Sexual Assault Centre London, and holds a Bachelor of Arts in Dimensions of Leadership and Community Development. Nikita is many things but never boring: a mom of two, feminist, skydiver, egg donor, motorcycle driver, valedictorian, lifelong learner, and unapologetically herself. Her desire for growth and ability to adapt to new challenges make her a great addition to the Up With Women team. 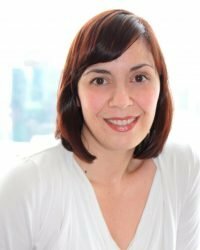 Leah Archambault worked for a number of years as a research associate in Social Epidemiology and Oncology with Cancer Care Ontario, the Ontario Breast Screening Program and the University of Windsor. Later, she worked in non-profit and patient advocacy with Colon Cancer Canada. Leah has lived experience with homelessness, while attending University in Toronto, and feels blessed and inspired to be working for Up with Women. 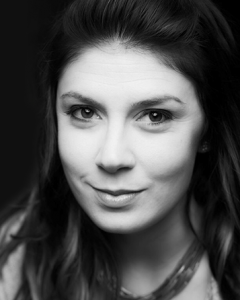 Leah has an MA in Dance from York University and still works as both a dancer and performance artist across Canada. Leah has two awesome kiddos and is married and living in Ottawa. 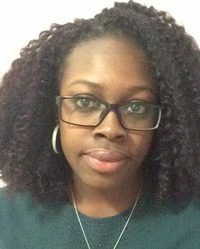 Program Manager Althea Mercury is a social worker with a BSW from Ryerson University. 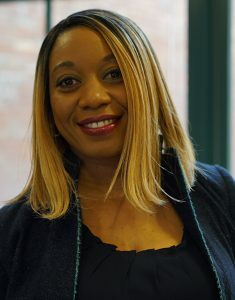 She began her career as a crisis counsellor at Scarborough General Hospital helping adults with mental health difficulties develop coping skills to reintegrate into the community.. Althea deepened her assessment and counselling skills during her seven year tenure with mental health services provider Three Springs in Alabama where she was, most recently, Director of Admissions. Althea is also a Certified Fitness Instructor and sought after Zumba teacher with a loyal following including the JCC. 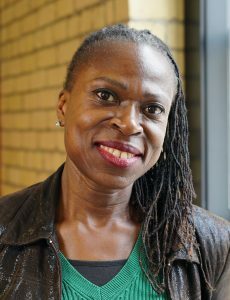 She has a love for dance; she took up dance in her late twenties with the Hummingbird Dance and Performing Company performing traditional Caribbean dances such as the limbo and pique. 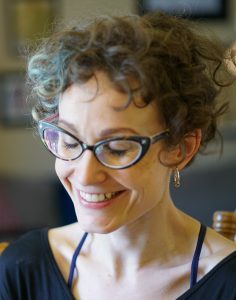 Her warmth, sharp assessment and counselling skills, broad life experiences, and intuition make her uniquely qualified for her role as program manager. In her spare time, Althea loves doing DIY projects, experimenting in the kitchen developing healthy snacks, and reading.